The price of gold has surged above US$1,200 per ounce again as investors search for a haven amid political uncertainty. Since the end of 2016, the spot price of gold has started to rally, rising from US$1,146 and surging clear of the US$1232 per ounce mark yesterday. Global asset manager VanEck Australia investments director Russel Chesler attributed the resurgence to scepticism surrounding details of US President Trump’s policies. “Prior to Trump being sworn in, the market had ridden a wave of euphoria. Equity markets were focusing on Trump’s planned stimulus, however his proposal to have Mexico ‘pay’ for the wall via a tax on Mexican imports and the implementation of his immigration policy have caused markets to reassess what a Trump presidency may actually mean,” Mr Chesler said. The answer to that question cold be determined in part by the fear of inflation. “Gold has traditionally been used by investors as a hedge against rising inflation and fiscal stimulus could support the rise of inflation in the US,” Mr Chesler said. 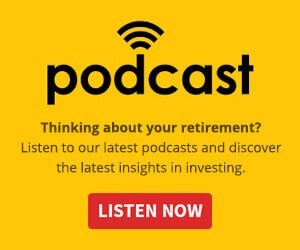 Whether or not a gold run eventuates in the long term will depend on how equities perform under Mr Trump, ABC Bullion Jordan Eliseo recently told the soon-to-be-released Nestegg podcast. “If we [keep seeing] a bit of a pullback in the equity market, that’ll be good for gold. If we see the US dollar rally start to peter out a little bit, that’ll be good for gold as well,” Mr Eliseo said. 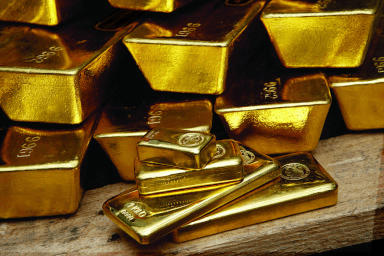 However, Mr Elliseo warned that gold should not be taken as a short-term gamble on geopolitics. “Probably the most classic example was the Trump election of last year where people thought if Trump wins the equity market’s going to crash and the gold price is going to fall,” he said. “He ended up winning and in fact the inverse happened [where] equity markets did really well and gold actually pulled back around 10 per cent. So no doubt there were plenty of people who bought gold thinking if Trump wins, gold will go up a hundred dollars and they’d sell it for a quick profit.